Photography is courtesy of Helsingborgs Auktionsverk. 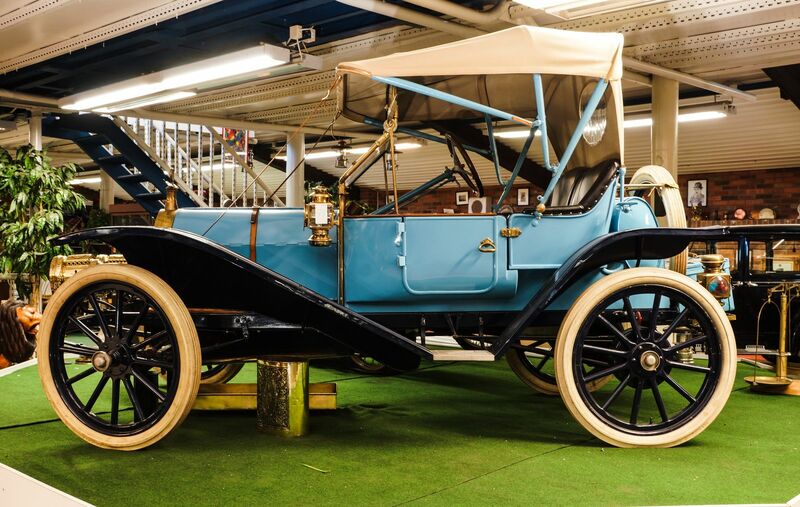 Considering the immense popularity of the annual classic-American car-themed Big Power Meet in Västerås and Lidköping, it should be no surprise that American culture and vehicles have been celebrated in Sweden for decades. One attraction that has been drawing crowds since 1966 is High Chaparral in Kulltorp, Småland, located southeast of Volvo’s home city of Gothenburg. This award-winning American Wild West-style theme park was founded by Bengt Erlandsson (1922-2016), who was popularly known as “Big Bengt.” This much-loved attraction wasn’t solely set in the 19th century, though, as Big Bengt made sure it had something to interest every visitor. 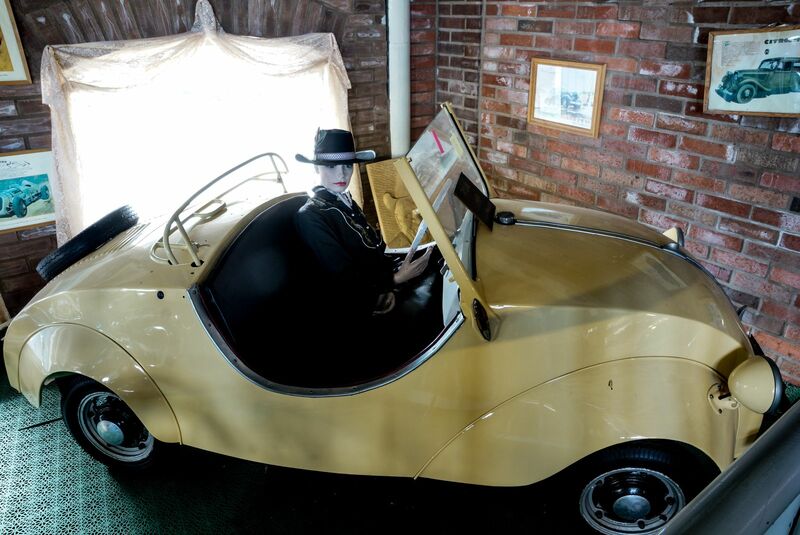 One of the largest out-of-period collections is of 20th-century vehicles that drive, ride, fly, and float. High Chaparral is selling its private vehicle and affiliated memorabilia collection from Friday, October 19, through Sunday, October 21, and the variety of items up for auction — some 1,200 pieces in total — is staggering. This 1954 Pontiac Star Chief, estimated to bring 95,000 SEK/$10,520, sports an older restoration. 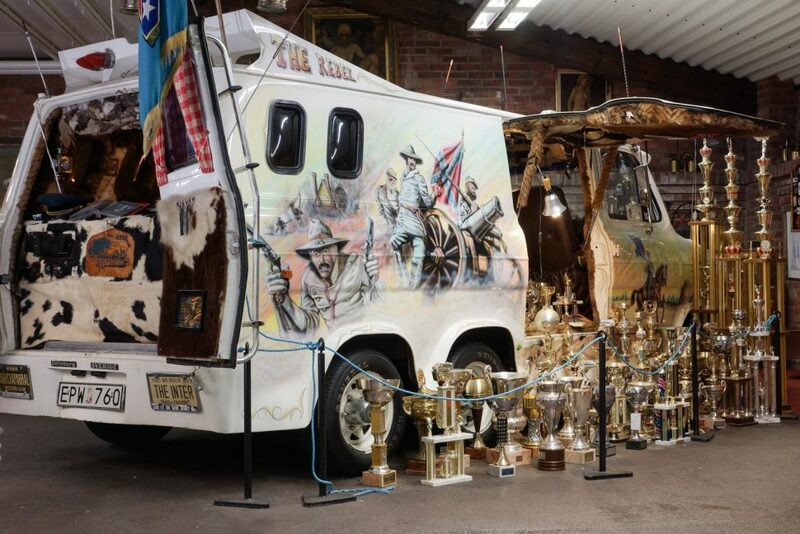 Big Bengt was a man of many interests, and this can be seen in the variety of vintage cars and trucks, motorcycles, mopeds, bicycles, farm implements, aeronautical engines, stationary engines, nautical vintage items, pedal cars, toys, enamel signs, sculptures, petroliana, and more that he collected through the decades. High Chaparral is selling these items to raise funds and make room for a new, interactive museum that’s being developed, and which is scheduled to open to the public in 2020. Friday’s auction will cover 781 lots that consist primarily of sculptures, art, vintage household items, and assorted automobilia. Saturday is when 475 items representing the majority of two-wheel vehicles and land/aquatic engines will be sold, while Sunday attendees can bid on 156 cars, trucks, aircraft, and motorbikes. We had fun perusing this wildly varied collection, and wanted to share some items of interest to Hemmings readers. High-flying bidders will have the chance to bring home a single-person helicopter, glider, or even a decommissioned Saab J29 Tunnan fighter jet (estimated to bring 40,000 SEK/$4,430). Earth-bound transportation items abound, with some 80 intriguing cars on offer. These range in age from the 1910s to the 1990s, and come from all around the world. It wouldn’t be a Swedish sale without desirable examples of domestic Volvos (including a 1954 PV444, estimated to bring 90,000 SEK/$9,965, and a 1990 780, 80,000 SEK/$8,860) and Saab cars (including a 1959 93 Deluxe, forecasted to sell for 75,000 SEK/$8,300, and a 1982 900 Turbo sedan, 25,000 SEK/$2,770). Of course, there are American cars like a right hand-drive 1917 Dodge Brothers Model 30 Touring (estimated 100,000 SEK/$11,075), 1937 Nash Ambassador (120,000 SEK/$13,290), a 1954 Willys Jeep (50,000 SEK/$5,535), a 1957 Studebaker Silver Hawk (145,000 SEK/$16,055), and a 1965 Chevrolet Corvair sedan (60,000 SEK/$6,645), plus the wild, American Civil War-themed custom 1970s Ford Transit van seen above (75,000 SEK/$8,300). 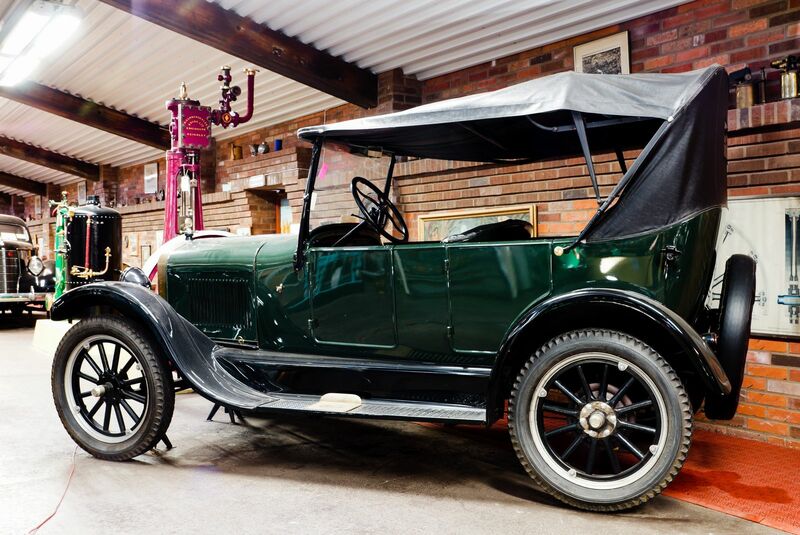 This 1926 Ford Model T Touring car is reported in good condition and comes with a key and registration documentation (80,000 SEK/$8,860). 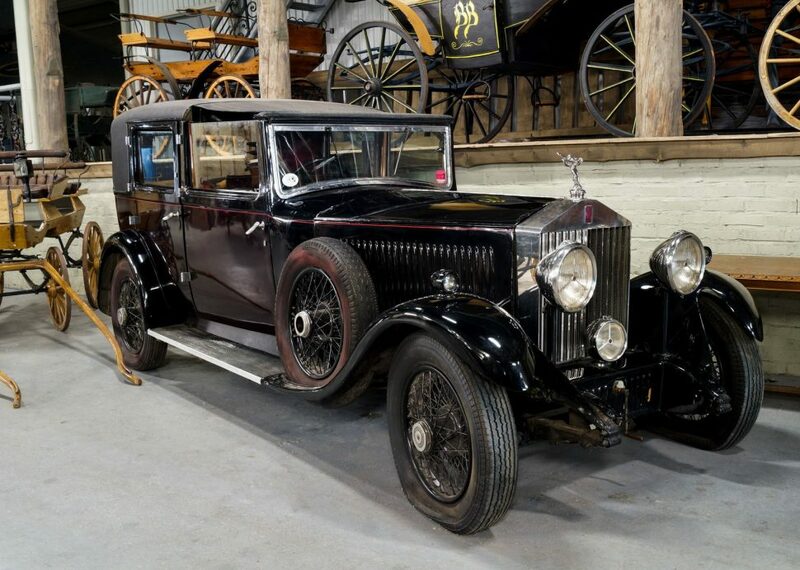 British cars run the gamut from the 1931 Rolls-Royce pictured below (estimated to bring 600,000-700,000 SEK/$66,440-$77,510) to a 1947 Wolseley Eight (110,000 SEK/$12,200), and 1959 Ford Anglia 101E (20,000 SEK/$2,215). 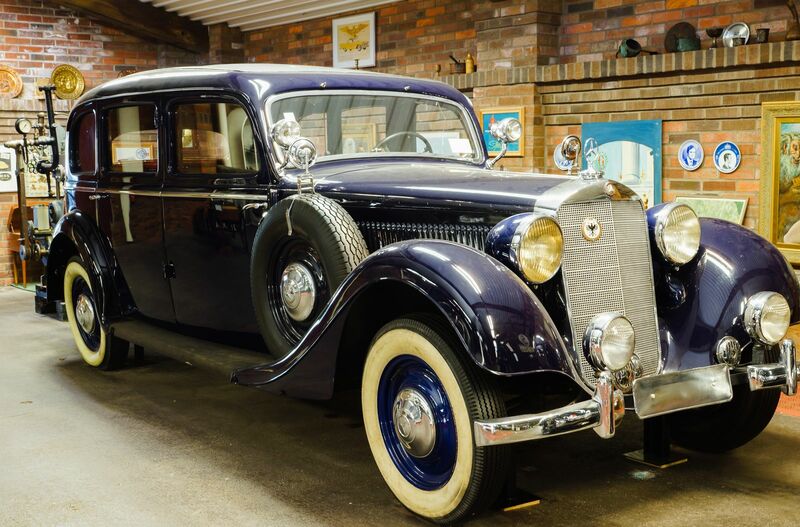 One of the most valuable automobiles in Big Bengt’s collection is this coachbuilt 1931 Rolls-Royce, a de Ville-style luxury saloon that combines original and refurbished finishes. 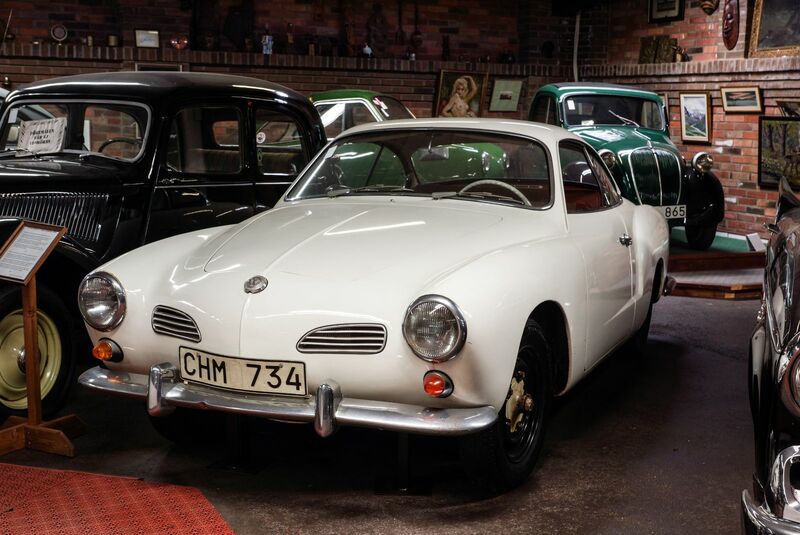 German car fans can bid on something as common as a 1963 Opel Rekord (20,000 SEK/$2,215) or as exclusive as a 1939 Mercedes-Benz 230 (500,000 SEK/$55,365). 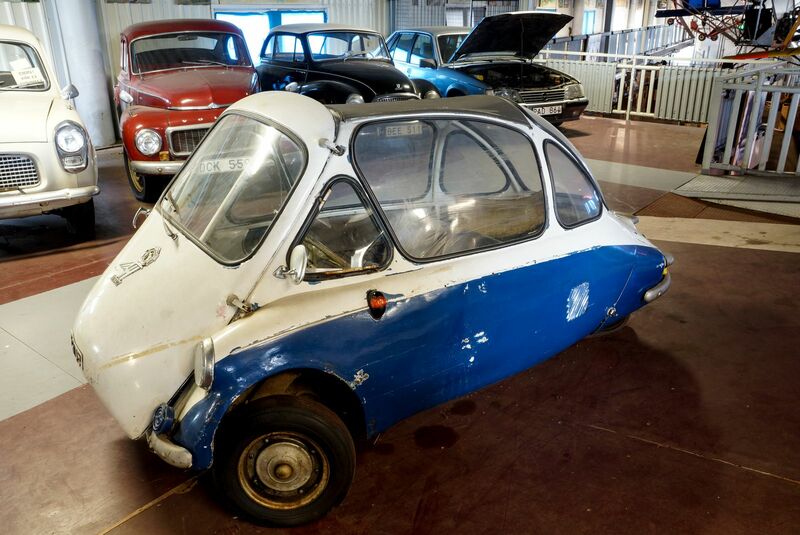 Hailing from Germany — or possibly built under license in Sweden — this late-1950s Fram King Fulda three-wheeler could bring 80,000 SEK/$8,860. If you’re looking to add some joie de vivre to your life, you might consider Big Bengt’s 1960 Peugeot 403 sedan (10,000 SEK/$1,110), 1962 Renault Caravelle (45,000 SEK/$4,980), or the delightful door-less Rovin (below), one of an estimated 200 built. 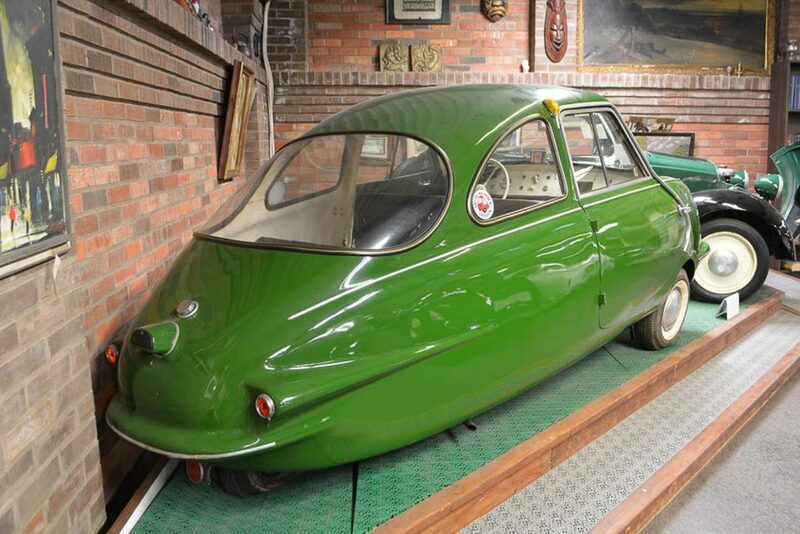 This charming little 1948 Rovin D2 is a French microcar anticipated to bring around 150,000 SEK/$16,610. 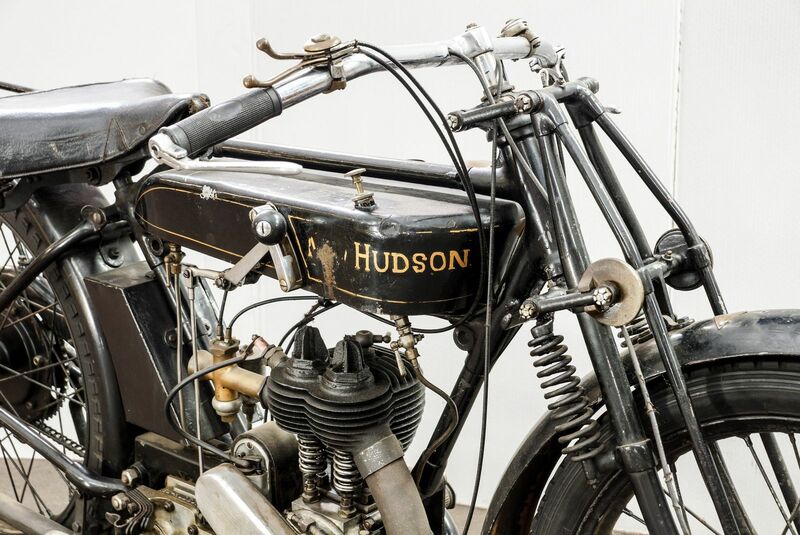 Wind-in-the-hair enthusiasts can bid on around 150 street and racing motorcycles and mopeds that bear such famous or obscure marque names as Ariel, Harley-Davidson, Henderson, Honda, James, New Hudson, Saroléa, Triumph, and Norton. 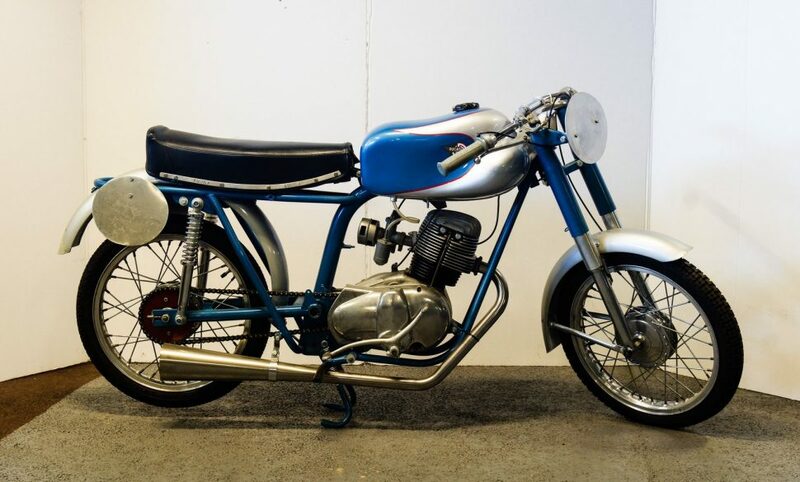 This single-cylinder Ducati Meccanica would make a fine base for restoration. If these vehicles haven’t captured your interest, might we suggest the late 1800s British traction engine “Barbara Ann” from Aveling & Porter (asking price SEK 800,000/$88,585)? Or one of more than 120 stationary engines also going under the hammer? Altogether different are wooden folk carvings from Gunnar “Bissefällarn” Svensson (1925-2009), art from High Chaparral resident painter Ernst Georg Hildebrand (1906-1991), and even Gebrüder Ihle bumper cars. 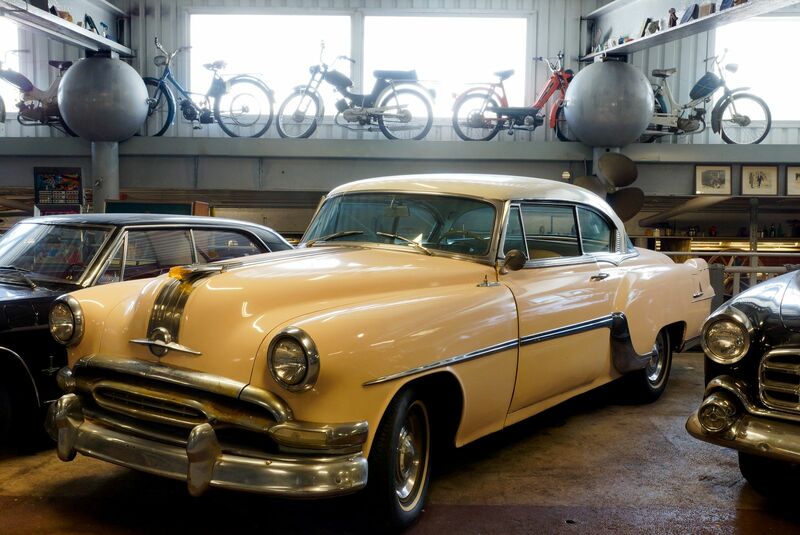 While online bidding is already happening, the physical auction will be held in a large storage building next to the amusement park; Helsingborgs Auktionsverk is hosting the auction preview from 10 a.m.-4 p.m., October 12-18, and from 9-11 a.m., October 19-21. 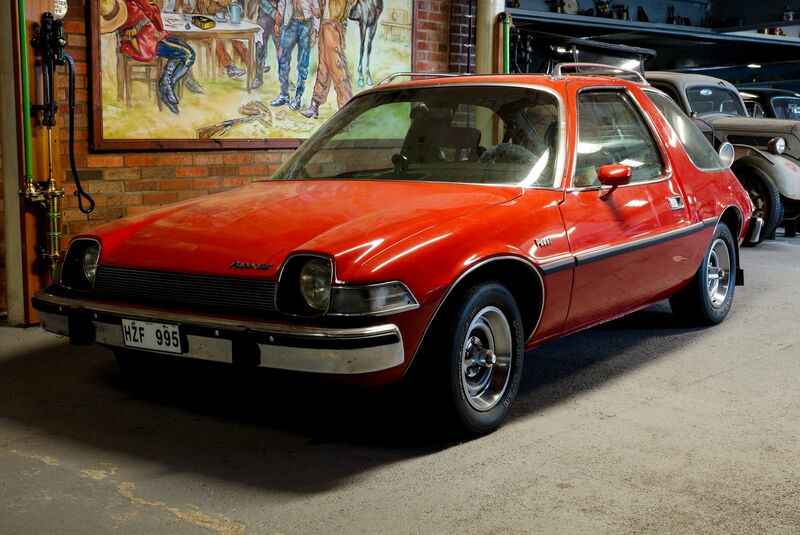 The three auction days commence at 11 a.m.
Click on the thumbnails below to see more vehicles that will be offered during the High Chaparral auction by Helsingborgs Auktionsverk.